"Mo is 100 per cent fit but traumatised by the whole experience," Azzim said. "We than the President for ordering security organs to make sure he is found. We are happy he is now home and safe." According to Azzim, Mo will later today address the media. "I thank Allah that I have returned home safely. I thank all my fellow Tanzanians, and everyone around the world for their prayers. I thank the authorities of Tanzania, including the police force for working for my safe return, " METL Group quoted him as saying on its Twitter feed, without providing more details about how he was freed or got away from his captors. 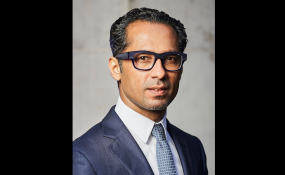 After his abduction, Dewji's family announced a record Tsh1 billion (Ksh44 million) reward for anyone who would provide information that would help find him.